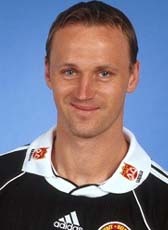 Martin Reijnders retired from professional football at the end of season 2001-2002. He has played abroad twice. Season 1998, Reynders played in the US-league. His second adventure was in Finland where he played for Jokerit and Haka. Martin Reynders currently plays for the amateurs of SV Dedemsvaart.